We will be posting news and updates every month or two including any interesting articles relevant to the world of physiotherapy or information on particular injuries . It is now 2 years since we have been based at our new premises in Crossgates at Crossgates medical centre station road and the clinic is proving to be a very comfortable spacious clinical environment with a lovely waiting area and also onsite parking. 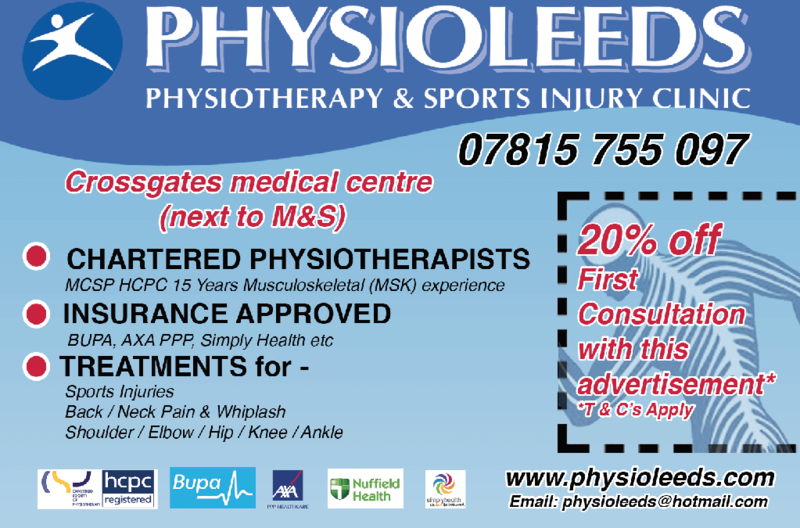 We would like to remind customers that we still offer 20% discounts to members of St Theresas running club , and also 20 % discount on assessments for new customers – please print and bring along the attached flier or pick one up at the doctors reception.